The modern car is well engineered but it is adversely affected by the elements. Here are some guidelines on how to protect your car from the rain. Give your car a coat of wax before the rainy season starts. This will protect the car by not allowing the water to come in contact with paint and will prevent rust formation by filling up scratches if any on the body panels. Cover your car if it is parked outside. 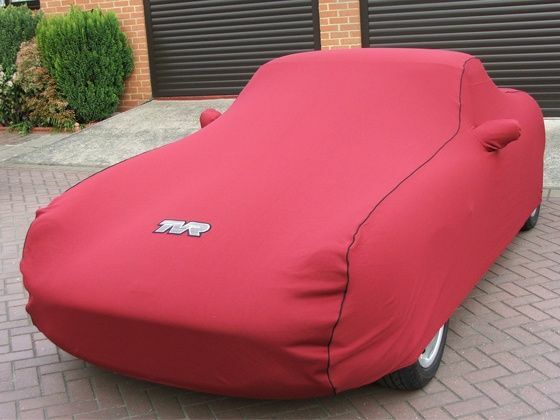 Waterproof covers will keep the water away and the porous fabric will let the humid air inside to escape, keeping the car dry. Keep the car clean as rain water contains contaminants that affect the paint. When the water evaporates the contaminants will leave dirty patches, which can damage the paint. Clean the underbody and body panels splattered with mud as contaminants in the mud cause metals to rust. A car cover will protect the car from getting wet and stop spot formation when the water evaporates besides protecting it from small debris scratching it. Rain guards/window visors work like the eyeshade of a cap. Visors fit on to the top of the window sills and protrude outwards. With window visors you can open the window without wind/rain coming into the cabin. This also helps prevent mist formation. Visors also provides shade and stops wind from blowing into the cabin. A bug deflector is a strip installed on the hood of a car to stop bugs and projectiles from hitting the windshield by changing the way air flows over it. This accessory is usually installed on vehicles whose windshields are not very rakish and are vulnerable to debris like bugs, tar/water droplets and pebbles. It can be installed on SUVs, utility vehicles and cars with a ‘tall-boy’ design. It’s not recommended for aerodynamically efficient cars unless recommended by the manufacturer as fuel efficiency and handling can be affected. I bought these and love the sleek look that they gave the truck. They were really easy to install. I bought these and love the sleek look that they gave the truck. They were really easy to install.